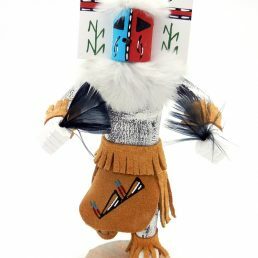 Native American Indian kachina dolls may seem like they come a dime a dozen, but kachina dolls created in the Hopi tradition, especially, are truly authentic collectibles. 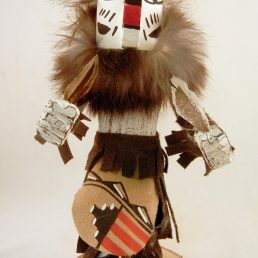 The legends of kachina spirits captured in the form of dolls originated with the Hopi people, and a great deal of tradition and craftsmanship go into the creation of each kachina doll. 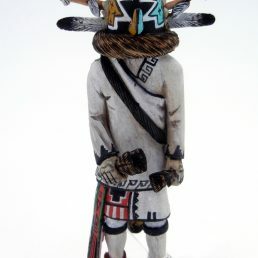 Many Hopi Pueblo artists carve their kachina dolls from a single piece of cottonwood tree root. 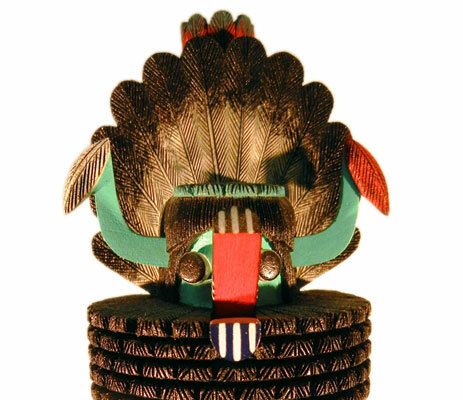 Even the accessories and ornamentation of the kachina doll—feather headdresses, objects held in the kachina’s hands, clothing, etc.—are carved details rather than separate pieces affixed with glue. 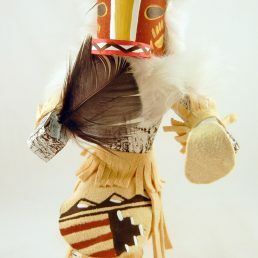 While not all Hopi kachina dolls are carved from one piece today, they are all carved by hand. 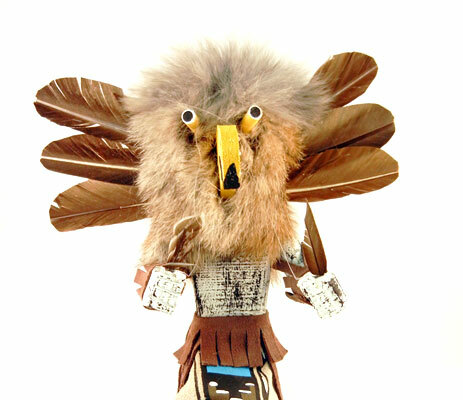 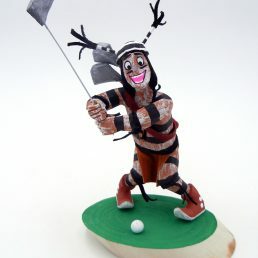 However, the Native American Indian kachina dolls that Palms Trading Company carries are all handmade. 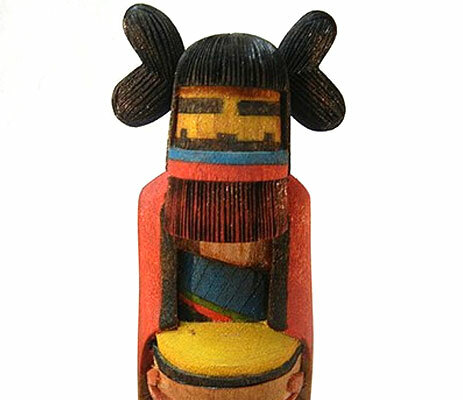 No two dolls are identical, and are, in a sense, rare. 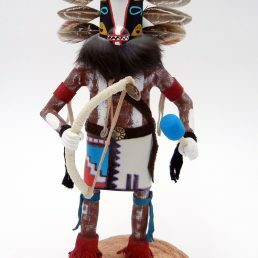 From time to time, we do acquire rare (in collector’s terms) kachina dolls for our collection. 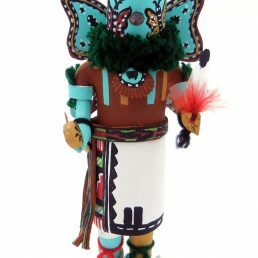 Kachina dolls are a popular form of collectible Native American Indian art. 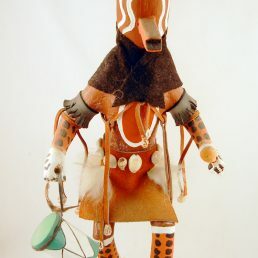 Some people select kachina dolls solely on appearance, but often it is the kachina doll’s stories or history that drive one’s selection. 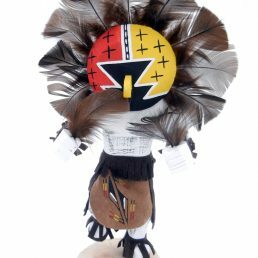 If you have questions about a particular kachina doll’s cultural significance, or if you would like to see more kachina dolls from our larger in-store collection, please contact us! 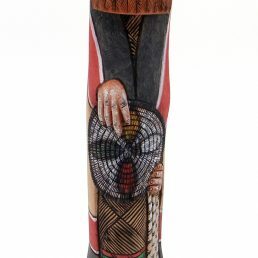 Our knowledgeable staff and personal shoppers will be happy to help you!